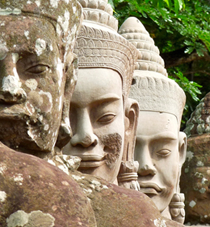 In the morning after breakfast, we will leave the junk and begin our trip through the Cave of Surprises with a sampan. On the way back to Hanoi, we stop in Lady Mui's home to visit Yen Duc, a traditional Vietnamese village. In the afternoon, we will visit the Ethnographic Museum (closed every Monday) and at the end of the afternoon, we will take a tour around Hoan Kiem Lake and the city’s famous Old Quarter. In the evening you can relax with a water puppet show, spending the second night in the hotel in Hanoi. In the early morning, we’ll head out to Halong (Ha Long Bay).On the way, you will have the opportunity to admire beautiful views of the countryside. 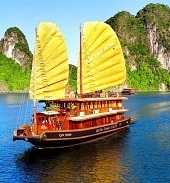 We will arriveat Ha Long Bay in the late morning and embarking on a “junk boat”(an ancient Chinese sailing ship) for a cruise in the Halong Bay. 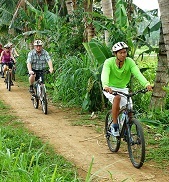 We’ll visit the caves and the isle with a sampan or kayak. Enjoy a lunch and dinner of delicious seafood on the junk boat. Our fifth night will be spend on board in your own private cabin. In the morning afterbreakfast, we will leave the junk and begin our trip through the Cave of Surprises with a sampan. On the way back to Hanoi, we stop in Lady Mui's home to visit Yen Duc, a traditional Vietnamese village. In the afternoon, we’ll transfer to Hanoi’s airport for a flight to the city of Hue. Once there, we will transfer to check into our hotel, spending the night in Hue. 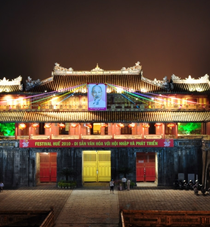 Hue is the ancient capital of Vietnam, in which the Nguyen Dynasty reigned from 1802 to 1945. 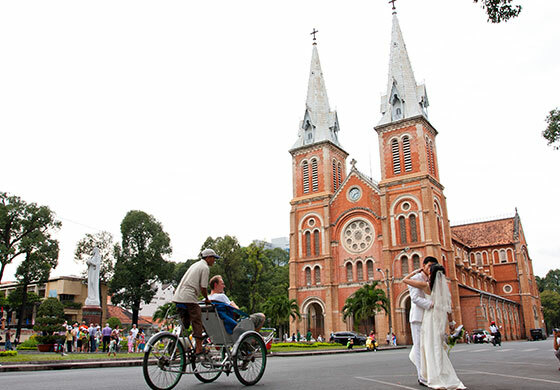 Hue is also known as "the city of peace and poetry" and attracts tourists with its romantic charm and historic monuments. 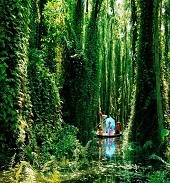 Here you can visit the city with a trip on the Perfume River by boat. 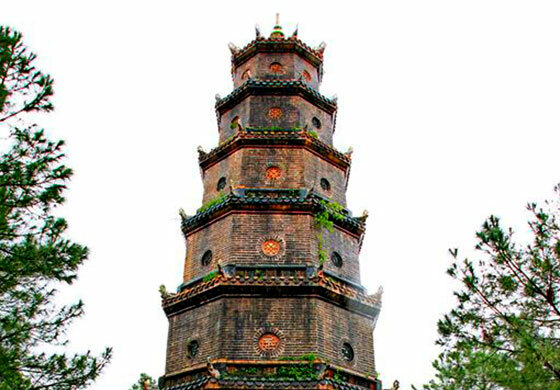 On this trip, we’ll visit the famous Thien Mu Pagoda (called the Pagoda of the Celestial Lady). We will continue the trip with a discovery of the Forbidden Citadel, the Imperial Museum, and the Tomb of Emperor Minh Mang. Once finished, we will return to Hue and spend the night at our hotel. After breakfast, we’ll depart on our tour throught the ancient town to see the: Pagoda Chuc Thanh ( the oldest pagoda in Hoi An, (1454), built by a Chinese monaco in 1454). The visit continues with the Japanese Bridge, the Chinese Temple, the Phung Hung House and the surrounding villages, visiting the markets and the port. Then, we’ll visit a lantern factory in Hoi An, where you will have the opportunity to learn how to make lanterns and you can also make one yourself to take home. 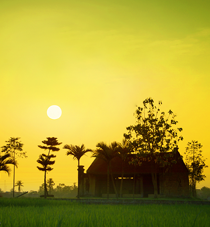 The evening will finish by staying overnight in our hotel in Hoi An. After breakfast, we’ll transfer to Da Nang's airport for our flight to Saigon (Ho Chi Minh City). Once arriving, we’ll transfer into the city center and check in at the hotel. In the afternoon, we’ll embark on a tour of the city starting with the most popular sites: the Central Post Office, the Cathedral, and the War Museum. The tour ends with a visit of the Ben Thanh market. 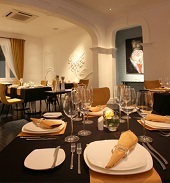 We’ll spend tonight at our hotel in Saigon. 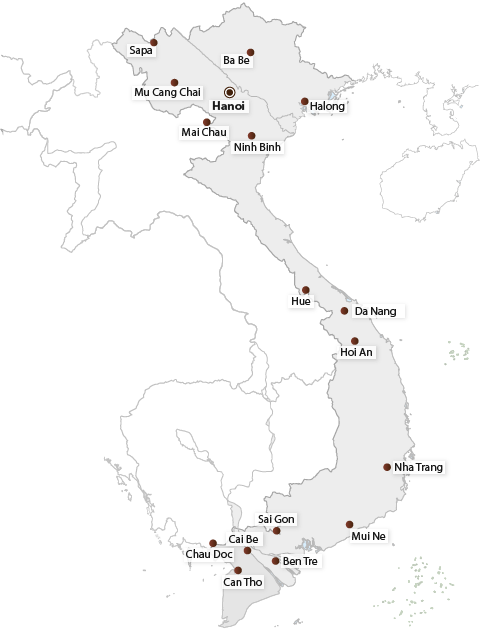 After breakfast, we will depart for Ben Tre - the “coconut capital” in Vietnam. Arriving at the pier of Hung Vuong. A short transfer by boat takes us into the small canals. 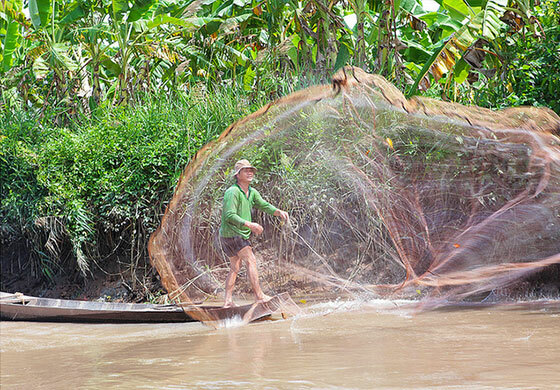 During the tour we will have the opportunity to admire the vibrant local activities from fishing along the river to experiencing life on channels. We will then visit a local coconut candy factory of coconut candy, followed by a top at the furnace of Mr. Tu Lo to observe the procession of the bricks in the traditional style. A short trip in a rowing boat takes take us to a small local restaurant for lunch. Early in the morning, you’ll get to take a boat tour to the floating market of Cai Rang to be greeted by the most beautiful scene: hundreds of boats are full of rice, fruits, and handicrafts gathered together by local merchants to sell exchange or sell their wares. Here in this market we can discover the daily life of the inhabitants and their animated activities. We will also have the opportunity to taste fresh fruit cultivated on site. Later, we’ll get to visit the Binh Thuy ancient house where the Academy Award-winning 1992 movie"The Lover" was filmed, and then a stop at the Khmer pagoda. 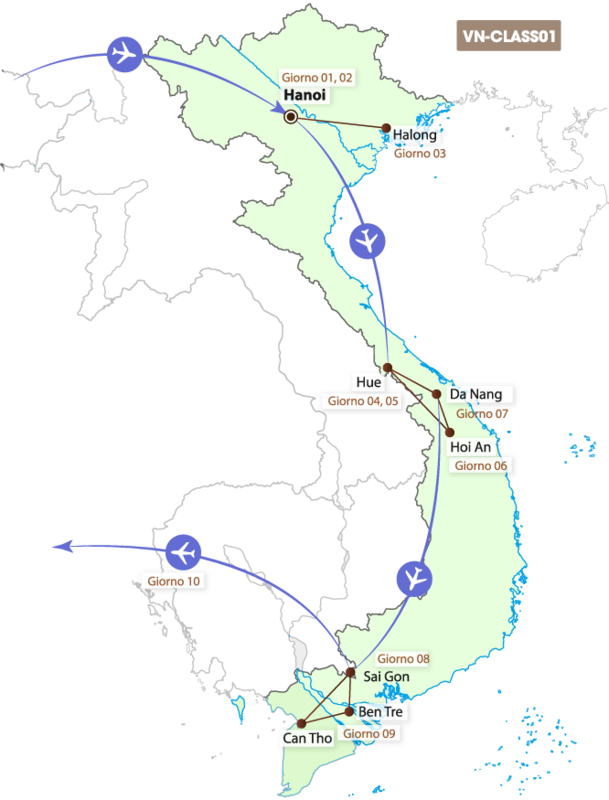 Once finished, we will depart for Can Tho and head back to Saigon. On the way, we’ll visit the village of Long Dinh, a very famous village known for itsproduction of mats. You’ll then arrive in Saigon and spend the evening with a foot massage to relax after a long journey spending the night in our hotel. Today will be spend in relaxation with free time for shopping or for personal discovery of Saigon before we transfer to Tan Son Nhat airport for our return flight.